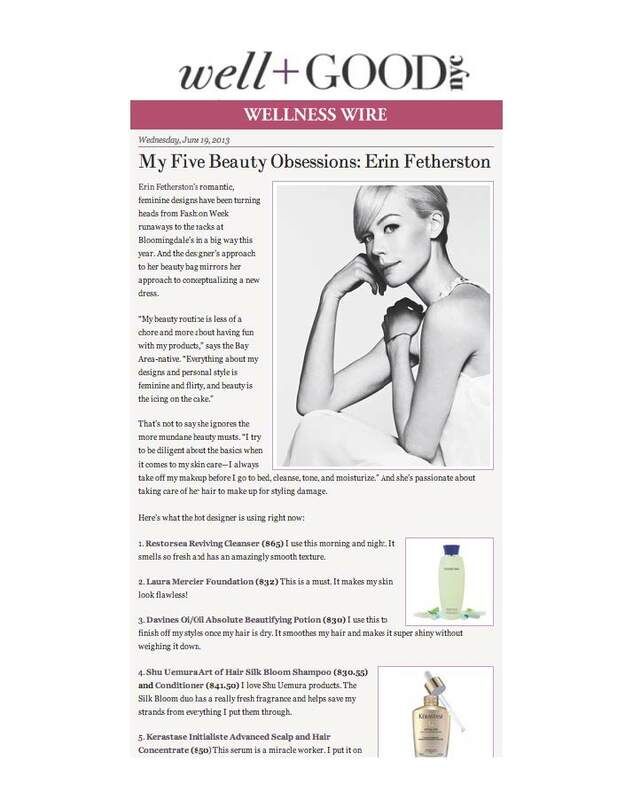 Erin Fetherston talks about her 5 Beauty Obsessions with Well + Good. Who would have guessed that Restorsea Reviving Cleanser would be her #1 current obsession? Fetherston says "I use this morning and night. It smells so fresh and has an amazingly smooth texture." Read The Full Article.